The stock market has been hovering around all-time highs - but does the bond market spell trouble ahead? The U.S. stock market continues to hover around record highs, driven by President Trump’s tax cuts and low interest rates, though fears of a US-China trade war have triggered repeated sell-offs. 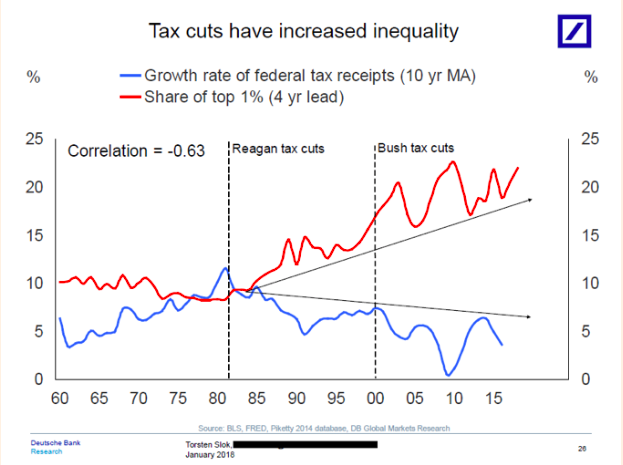 Some observers caution that the boost from the tax cuts will be temporary. The International Monetary Fund, for example, has predicted that the resulting higher fiscal deficit will weigh on growth from 2022 onward, offsetting some of the gains. In the bond market, there have been some concerns over a flattening yield curve, which in the past has signalled economic problems ahead. “The so-called yield curve is perilously close to predicting a recession — something it has done before with surprising accuracy — and it’s become a big topic on Wall Street,” reports the New York Times. The yield curve shows the difference between interest on short- and long-term U.S. government bonds. The Federal Reserve has been raising short term rates, but long-term yields have been slow to rise, suggesting traders are unsure about long-term growth. 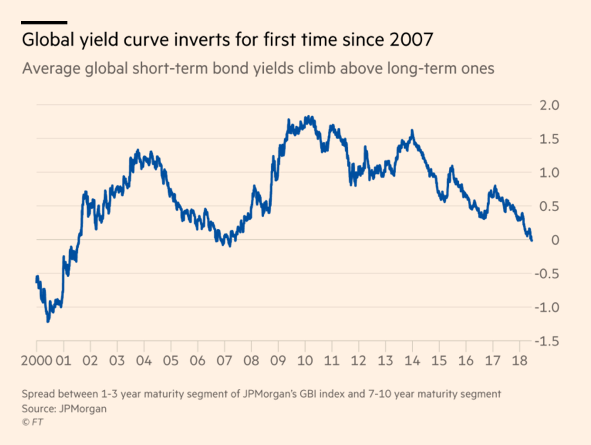 “Interestingly, and worryingly, the global yield curve has now already inverted”, meaning that short-term bond yields are higher than long-term ones, according to the Financial Times. The last time this happened was in 2007, before the global recession. Historically, an inverted yield curve has preceded economic downturns. U.S. job growth is strong, with the unemployment rate falling to an 18-year low of 3.8% in May. That means it is at its lowest since the days of the dot-com boom in early 2000. It also matches the lowest rate in half a century. Unemployment hit an 18-year low in May. The strong labour market, with gains across the board but particularly in retail, health care and construction, adds to the bigger picture of a roaring economy. But some observers are concerned that it may also be a sign that the economy is overheating, fanning fears of inflation. Indeed, inflation has hit a 6-year high of 2.8%. 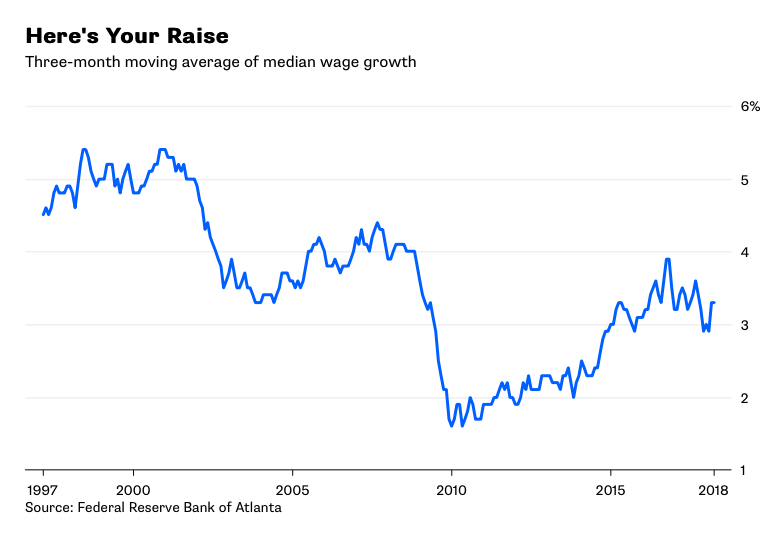 Another worry is tepid wage growth, which not only lags behind the strong growth in jobs, but is essentially wiped out by inflation. Wages have grown by 2.7% year-on-year, whereas in the comparably buoyant dot-com days, they rose by about 4%. One explanation is that employers are able to keep wages artificially low because of the decline of labour unions, which has weakened the bargaining power of workers. Wage growth has been sluggish despite a strong labour market. 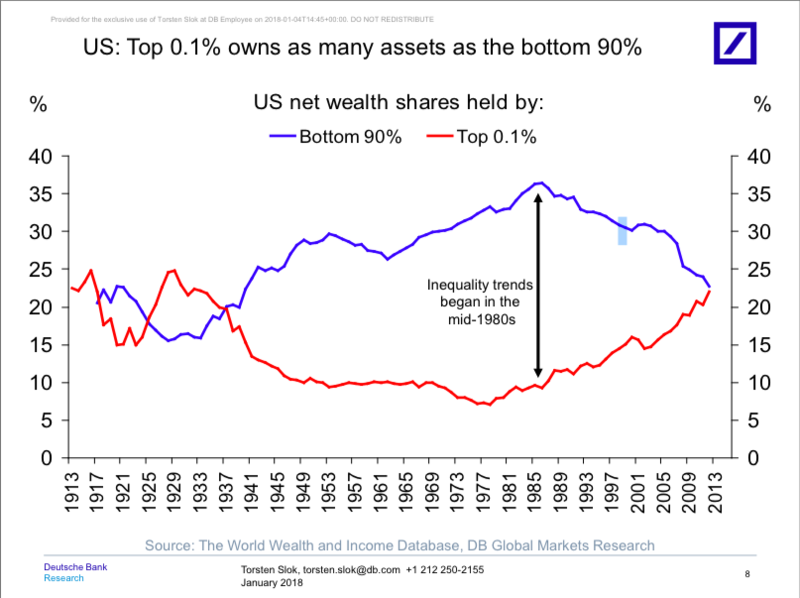 The US has the highest income inequality in the Western world, and the gap between rich and poor Americans has been widening. 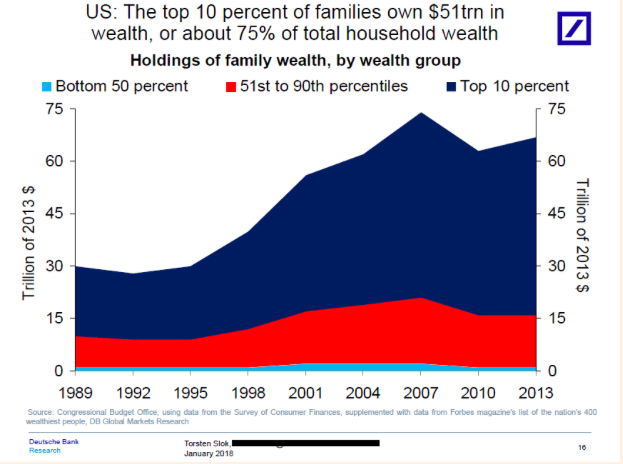 The top 10% of families own 75% of household wealth, and the top 0.1% own as much as the bottom 90%. Income disparity creates a number of problems. Widespread feelings of frustration and alienation can lead to social tensions and civil unrest. A scarcity of opportunities for a wide segment of the population not only fosters crime, it also narrows the all-important talent pool that is crucial for a country’s competitiveness. A new study has shown that the poorest Americans are suffering from an increasing sense of distress. The study links inequality to declining mental health, rising drug overdose death rates, and suicide. 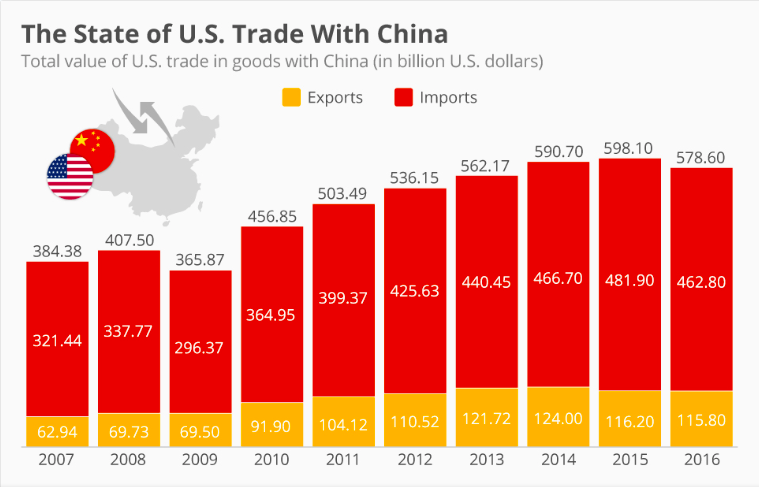 China and the US are spiralling into an every-worsening conflict over trade, as each side threatens to slap retaliatory tarrifs on hundreds of billions of dollars worth of goods. The US has announced tariffs on Chinese products from steel to electronics, and China has hit back with tariffs on American products from cars to seafood. President Trump argues that the tariffs are a necessary response to unfair Chinese trade practices, including the theft of intellectual property from American firms. China denies the accusations. A full-blown trade war would damage both economies and could spill over to other countries, including American allies such as South Korea, Japan and Taiwan that supply components and raw material for Chinese products. The US is a global innovation powerhouse, generating groundbreaking new products and research in its vibrant, dynamic companies, labs and universities. It came second in the World Economic Forum's most recent Global Competitiveness Index, after Switzerland, partly thanks to its high score for innovation. 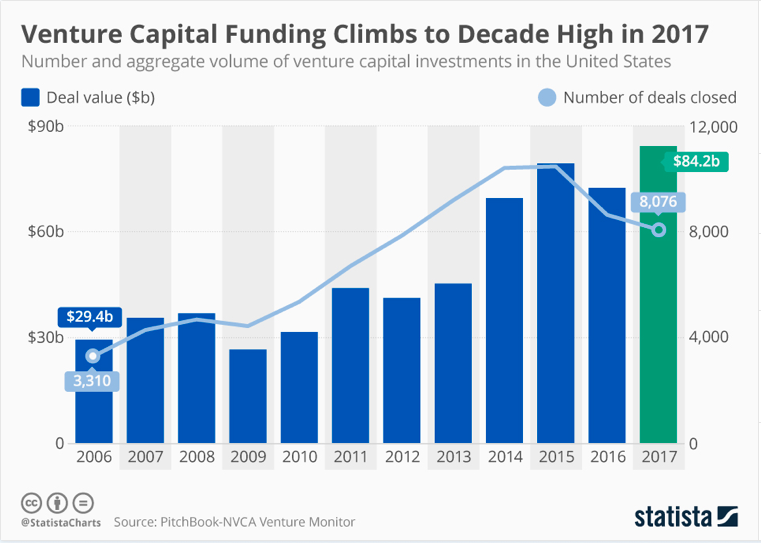 Venture capital funding hit a decade high in 2017, fuelling innovative businesses especially in Silicon Valley. However, the US slipped to 11th place in the Bloomberg Innovation Index. One of the factors was higher education, including a decline in the share of new science and engineering graduates in the workforce. 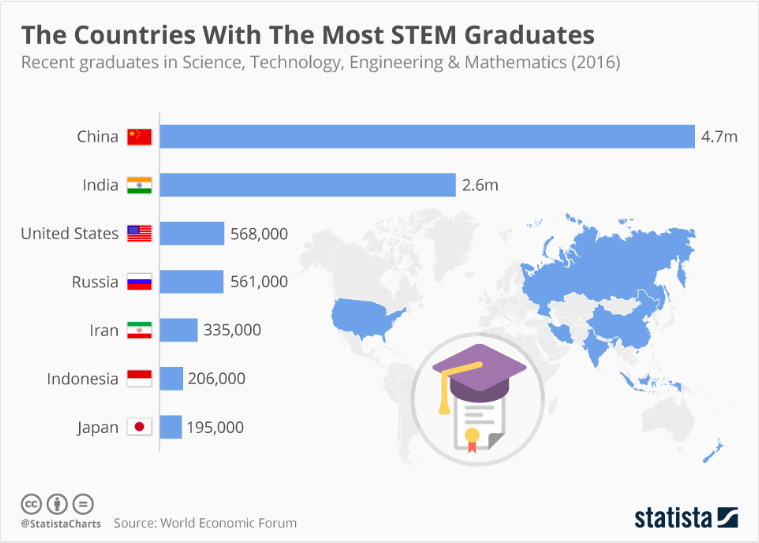 China and India have overtaken the US in terms of the number of STEM graduates, underlining the important link between education and future innovation (though the numbers also reflect those countries' larger populations). Female empowerment could be the key to America's long-term competitiveness. Closing the gender gap could add $4.3 trillion to the US economy in 2025, according to a report by McKinsey Global Institute. But despite American women's achievements in business, innovation and global leadership, full parity remains elusive. The country ranked only 49th in the World Economic Forum’s Gender Gap Index, behind Rwanda and Nicaragua. It came first in the world for gender parity in educational attainment, but was dragged down by lower scores for equality in health and political empowerment. 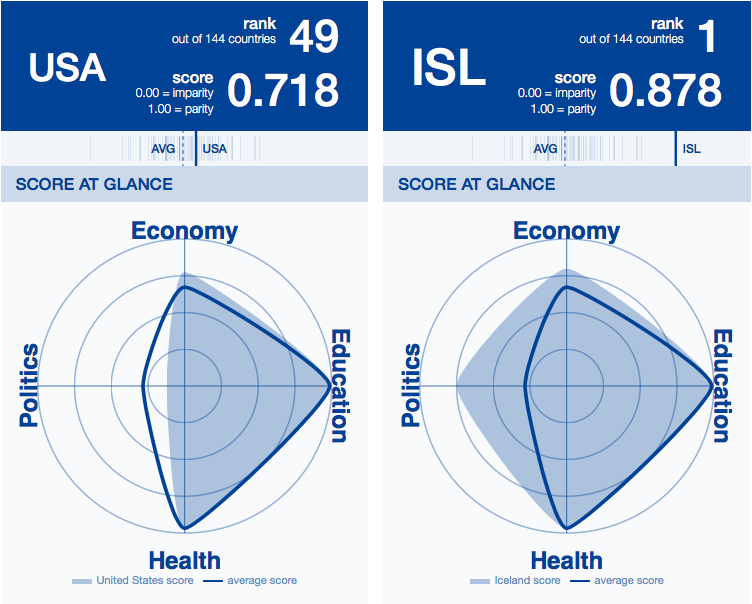 Compared to Iceland, which ranked first, the latter point is particularly striking. Women are underrepresented in U.S. politics: they account for only about 20% of political office holders. The United States also remains the only country in the developed world that does not offer paid leave for new mothers. The gender gap in the US and Iceland.